From an IT age, it is the age of the customer today. Digital marketing is getting unified. It is no longer inbound Vs outbound; or SEO Vs email campaigns, etc. How well one is able to deliver all of these channels into a common stream, establishes the winner Vs loser, in today’s digital world. Success in marketing depends on how well you are able to create value for your customer’s business. Majority of the CMOs today, do not use quantitative measures. They use qualitative measures that cannot be used for measuring the success of those initiatives. The 2014 CMO Survey states that just 36% of CMOs have quantitatively proven the short-term impact of marketing spending, and for demonstrating long-term impact, that figure drops to 29%. So there is a certain need to look at the numbers in a more objective manner. As entrepreneurs, CMOs, you will need to justify spend across various ‘buckets’ (or initiatives). Unless and until you are clear as to which bucket is giving you the returns, you may never be able to invest in the ‘right bucket’. So here’s the need that arises for using Analytics in your Digital Marketing activities. Harvard Business Review (HBR) had declared that data scientist is the sexiest job of the century. I do come across numerous instances where the CMOs feel proud to have brought large number of hits to their website. Well, increasing traffic to your website is certainly nice. But does that meet your objective? Is getting hits to your website the goal that you wanted to accomplish? Certainly not, as even one page can produce a dozen hits, depending upon how you have designed it. The initiative has to lead to conversions. Whether you are a product company or services entity, the parameters to measure are going to be different, and you can set goals as to what you wish to achieve as per your business needs. It could be as simple as measuring ‘likes’, to request for information, or download an app or whitepaper, etc. What all pages are most likely to convert your visitors, to leads? Your visitors demographics, profile, etc. Understand what your visitors are interested in, etc. In all, Google analytics will provide you a lot of data, information that helps you to understand as to how your visitors get engaged with your website. 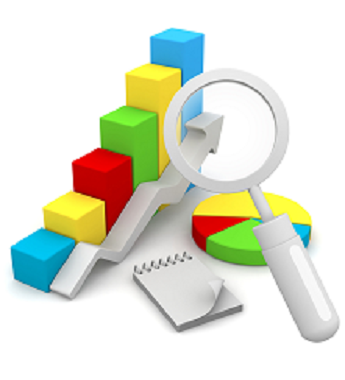 Analytics helps you to measure and measurement builds the system for accountability. Besides, effective use of digital marketing will also help you earn revenues through your website, through your visitors. There are many companies that use this to drive revenues through their website. You can use Google AdSense, and generate revenues when your visitor clicks the ads that get published through Google AdWords in your website. Once you understand what your visitors expect from your website, it will be easy for you to chalk out an action plan to engage them more effectively. You will need to communicate your personality through your digital means. This can be done effectively if you know your ‘right audience’. Gone are the days, where you communicate in a manner ‘one-size-fits-all’. Customized communication, personalized messaging is more apt if you have to succeed through digital marketing. Analytics has far more strategic importance to your business. Once you pick the right data, use analytics to pick the right information, you can derive meaningful insight that can lead to a business decision. These business decisions will play a critical role in taking your digital initiatives forward. Digital Marketing has the power to shake established businesses. It can break boundaries and barriers. It has the capacity to make traditional businesses obsolete. All this can happen when you are able to relate your objective in the business, with what the market wants. The beauty of digital marketing is that you can, customize, set accountability, execute in a cost effective way, launch and create immense impact in a short period of time. Analytics is slowly gaining momentum and the challenge that we face today is dearth of good professionals, who knows what data to pick, what information makes sense for your business, and more importantly, one who can think of short and long term strategies in building your business. But till then it will be wise to hire or engage specialists who can use the digital medium effectively, for your business. So the next time when you discuss with your digital marketing team, speak about goals; discuss about leads and conversions; build strategies for short and long term, and one that delivers results for your business! Startup Xperts is a management consulting firm with an objective to transform companies into the next level of growth. Our mission is to help companies to steeply accelerate their growth. Be it family run business, small or medium enterprise or a boutique firm, Startup Xperts have all the right answers to step up their growth. Startup Xperts help clients in a range of service areas including business consulting, strategic consulting, sales and marketing consulting, digital marketing, HR, Operations and leadership training. The views expressed in this article are that of the author’s and Startup Xperts is not responsible for this content. In case of any objection in content, IP violation, incorrect or inappropriate information, please inform us at ceo@startupxperts.com. We will do our best to act on it at the earliest.